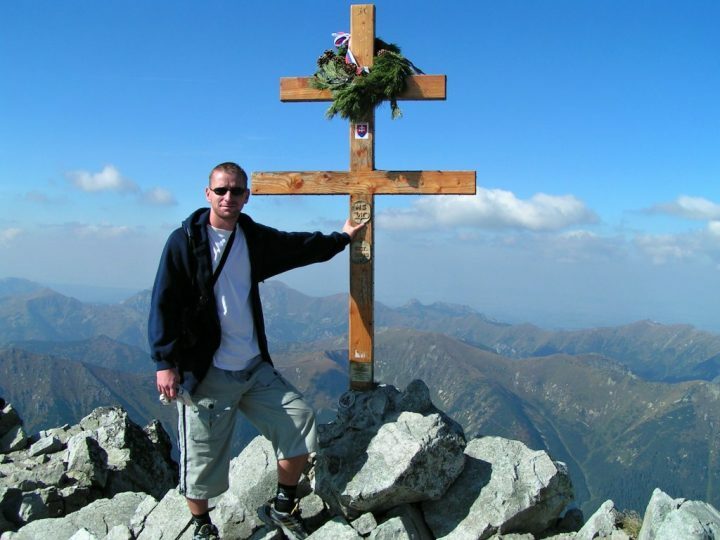 It’s been a while since our last hiking trip to one of the most famous peaks in Slovakia. 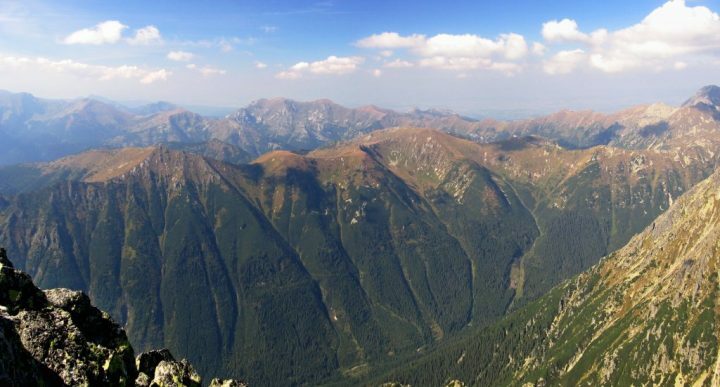 With an elevation of 2,495 meters, Kriváň is one of the highest peaks in Slovakia. 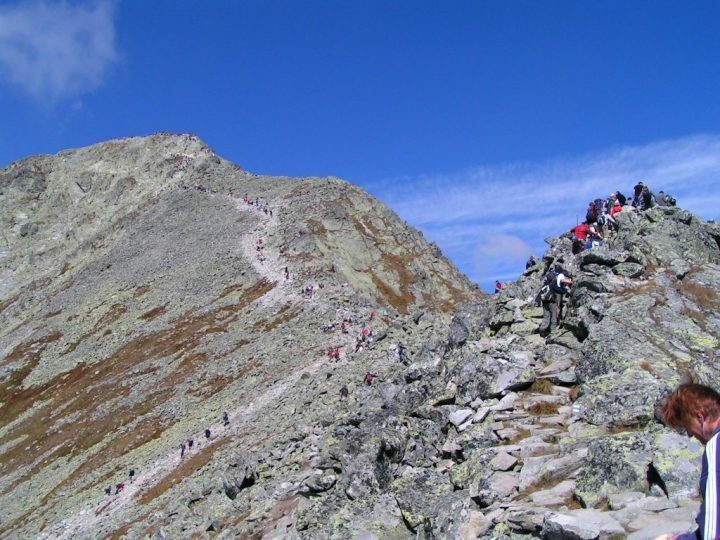 And among the tourists, it is also one of the most popular peaks in the High Tatras National Park. 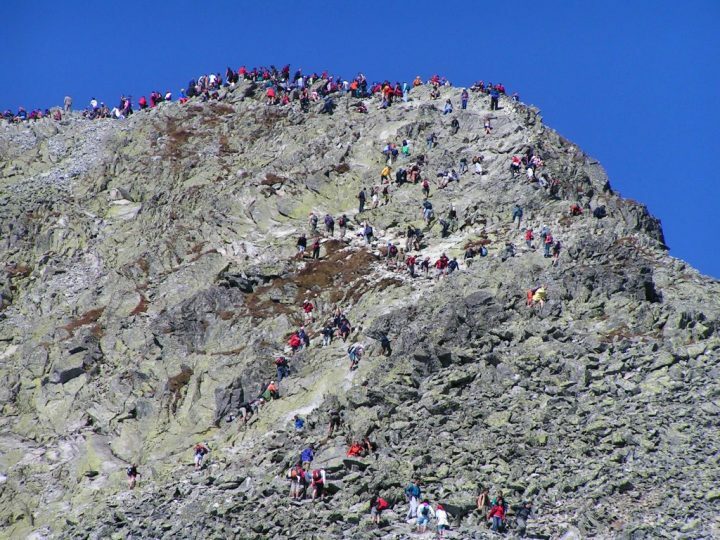 It is said that every Slovak has to climb up to Kriváň peak at least once in a lifetime. Although it is not so easy and not for all. If you are scared of the heights then you should probably choose some other hike. 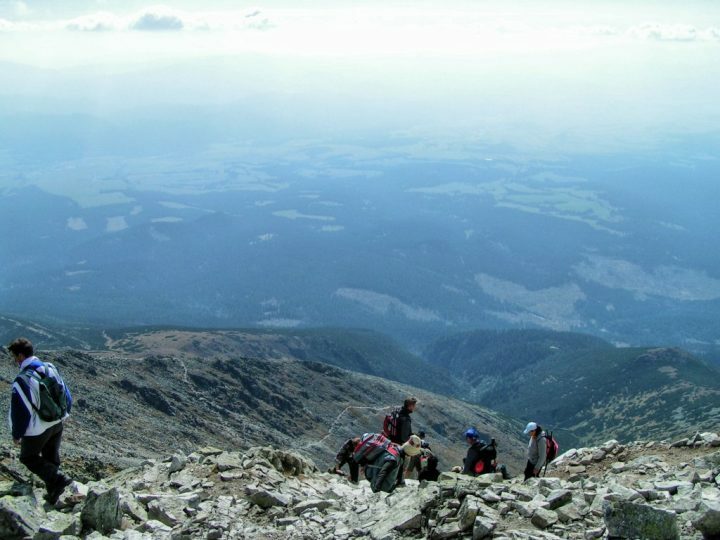 A hiking tour to Kriváň peak belongs to a rather difficult and challenging hikes in the High Tatras. Reaching the peak requires some physical and technical skills, as some parts are really exposed. 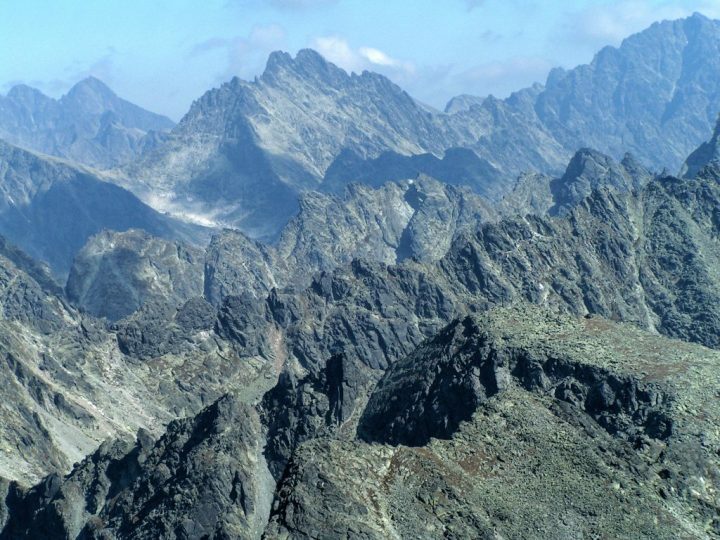 The peak has long been considered the highest in the High Tatras until the barometric metering has been done here and determined its actual height. 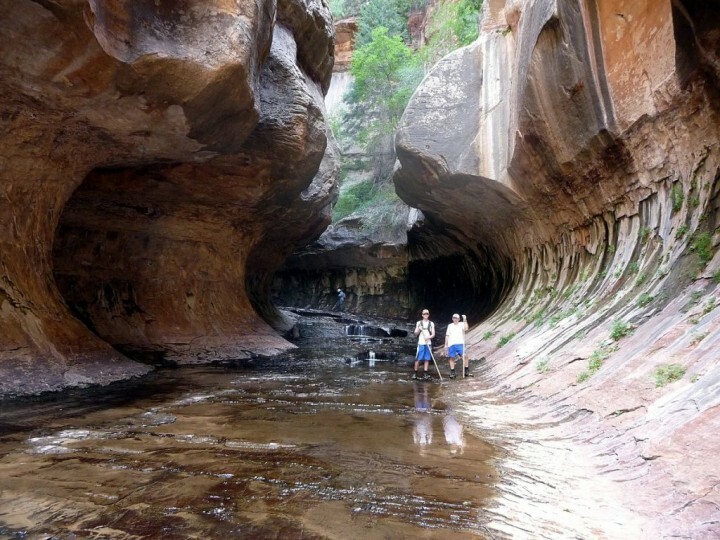 In the past, the silver and other metals were mined here. 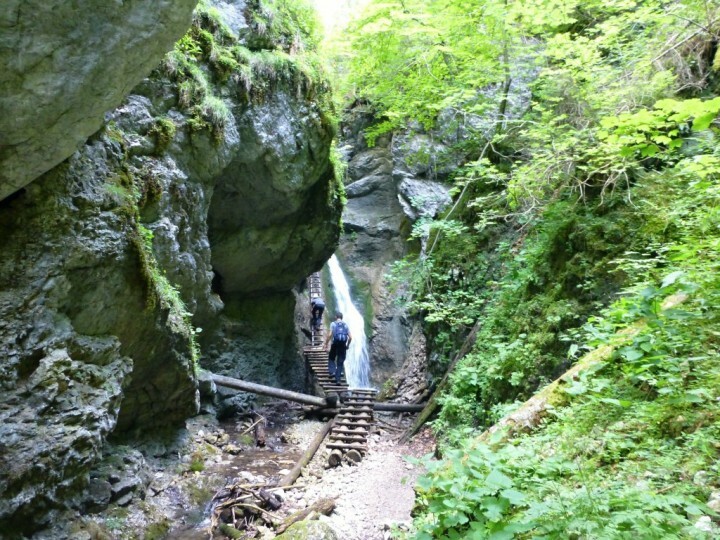 There are two hiking trails leading to Kriváň. One of them starts it Štrbské Pleso, the highest situated resort in Slovakia. The other in the lesser known place called Tri studničky. At both places you can leave a car, Štrbské Pleso, however, has a lot larger parking spot. 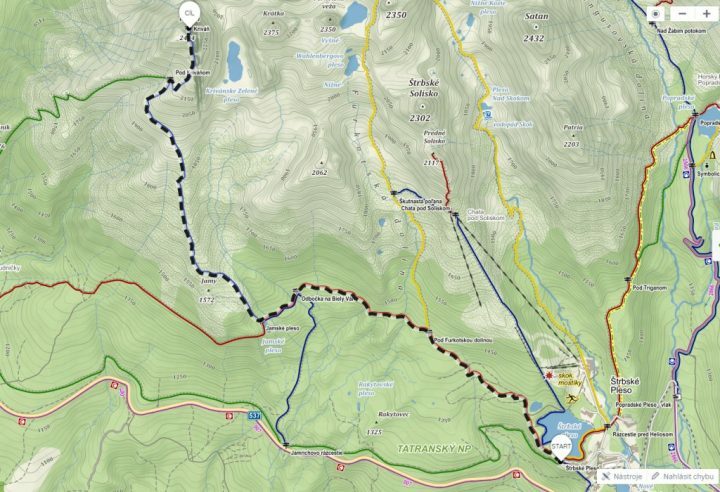 From Štrbské Pleso you have to follow red hiking trail and then continue following the blue one until its end on the Kriváň peak. 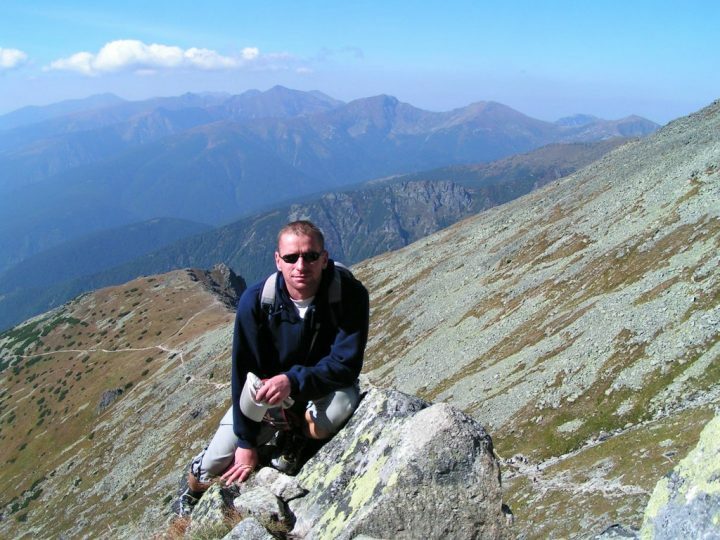 This tour is 9 kilometers long (one way – expected time 4:40) and you need to overcome 1310 altitude meters. 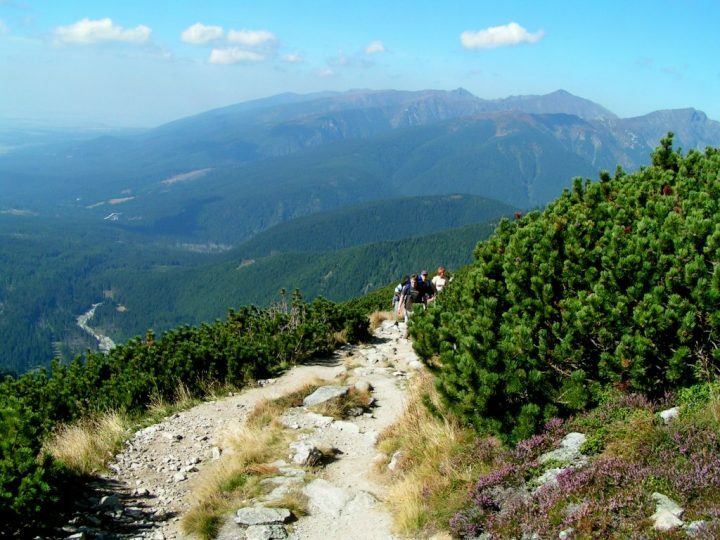 From Tri studničky, you start on the green hiking trail and then continue on the blue hiking trail again until its end on the peak. 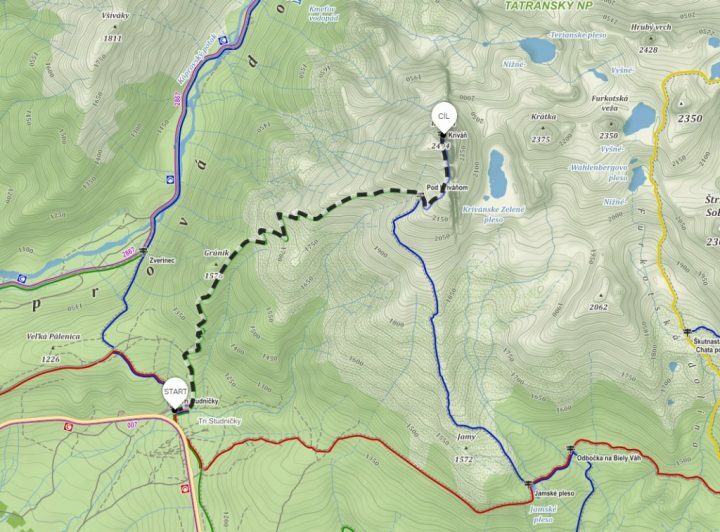 This tour is shorter with a length of only 5 kilometers (4 hours expected) but it is equally difficult as here you have to overcome 1405 altitude meters on the way. Both are also equally beautiful and offers excellent views of the whole country. 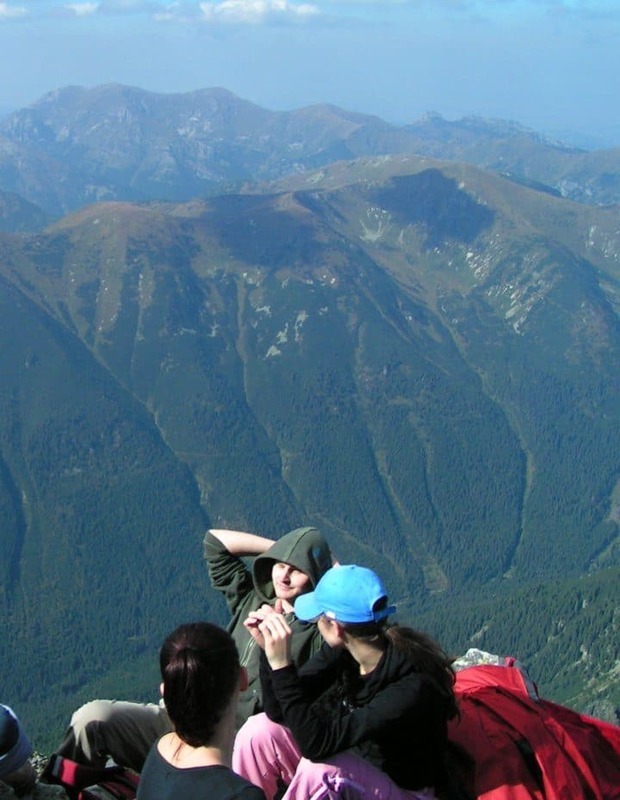 And once you get up to the peak you’ll be pleased with even better views, this time also of a neighboring country – Poland. 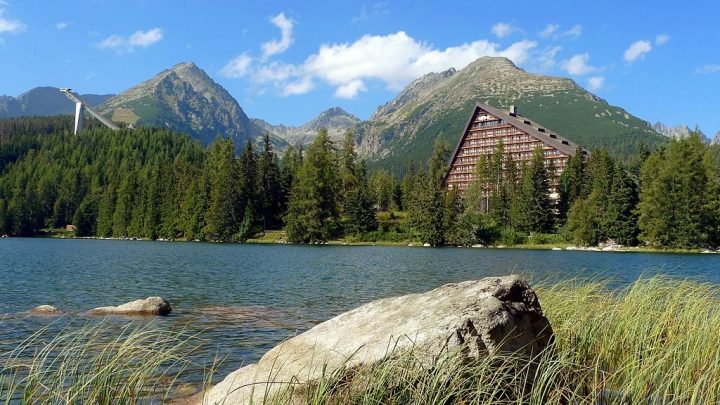 I wrote a good article about Unique hotels in the High Tatras mountains and one of these hotels is located in Štrbské Pleso. Hotel Patria is definitely one of the most iconic hotels in the High Tatras and you will find it in every postcard from this national park. 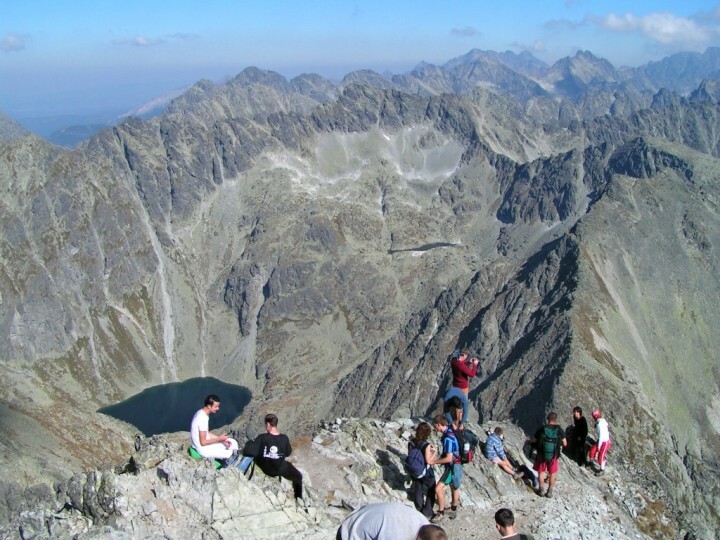 Štrbské Pleso is one of the best starting-points in the High Tatras. 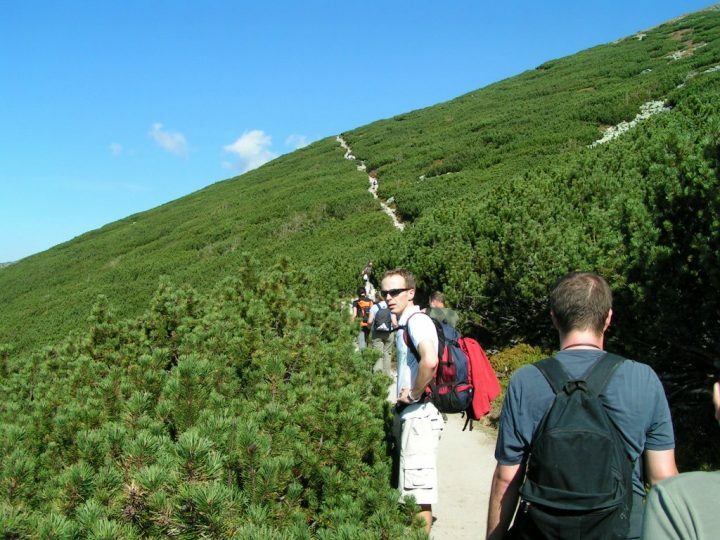 There are more tours available, not only to Kriváň peak. 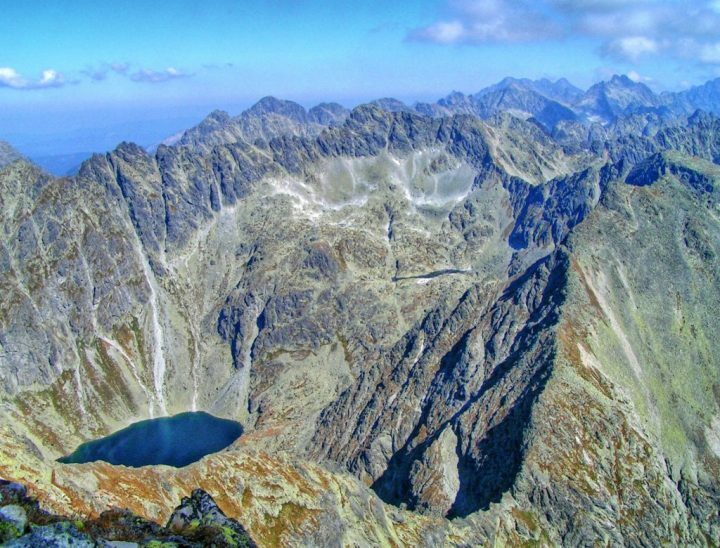 You can find more information about the place in our other article Štrbské Pleso – beautiful glacial lake in the High Tatras National Park. 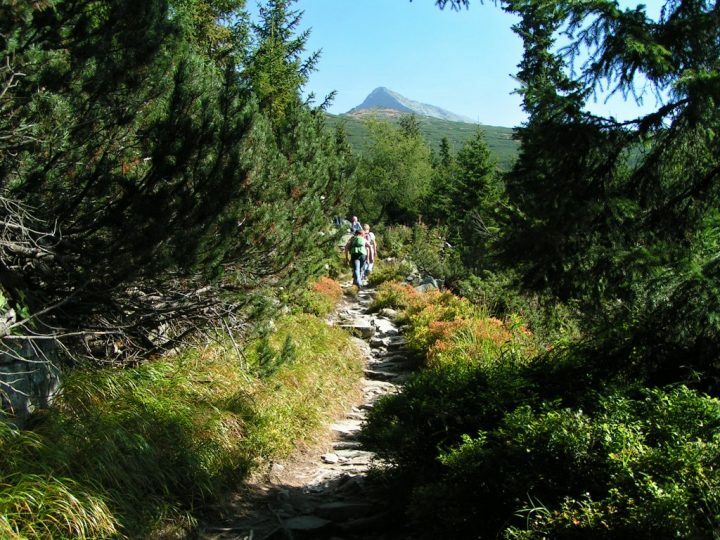 Or if you want to explore more places in the Slovakia’s National Parks then read this article: National Parks of Slovakia and their best places to visit. 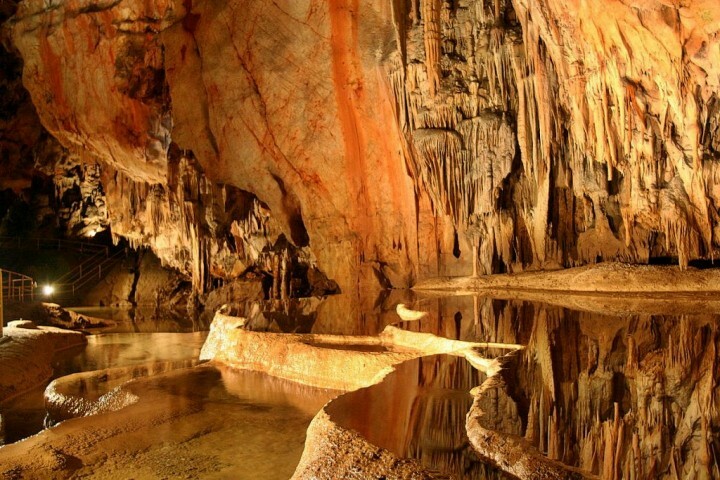 Caves in Slovakia – Visit Slovakia and its Amazing Caves!